This is an important question. Were the identities of the pirates that attacked Tesara ever revealed? Some escaped, others were killed, and a few were captured, although they're obviously not being very cooperative. So at present, no, the exact affiliation of the pirate group remains unknown. OK, cool. The reason I asked was because I wanted to know if it was at all possible for me to make profiles for some new characters and have them be the pirates that escaped. If it's not kosher, I understand. I just thought it'd be a fun idea. I'd prefer it if you didn't do that. I may have need of those NPCs again at some point in future, and having player characters awkwardly forced into the group would complicate matters. All right. Like I said, it's cool if it's not allowed. I was just wondering. You may not be able to create someone affiliated with that particular group of NPCs, but that doesn't necessarily mean your character can't be a pirate. The majority of the game's criminal element usually bases itself out of Cliffside. If you're looking for some rather morally questionable activities to get into, my advice would be to start there. Maybe I'll make a pirate later, but for now, here's another female to add to my RPG character portfolio. POWERS: As a Namastean, Morga has high speed and agility, as well as the ability to draw shadows to herself. Rainbow Disks- Six powerless throwing disks with colorful patterns on them. One has red patterns, one has orange, one has yellow, one has green, one has blue, and one has purple. They are primarily used for balancing tricks, but can double as weapons in a pinch. Marionettes- Six marionette puppets in wooden cases. Cards- A deck of cards. The four suits are Fire, Stone, Air, and Water. ALLEGIANCE/ROLE: Morga hails from New Atero and works as a travelling entertainer. APPEARANCE: Namasteans are a naturally scary-looking lot, but Morga defies that trend by at least trying to look not-as-scary as others of her race. Instead of the dark colors that Namasteans prefer, Morga’s chosen coloration is a garish yellow-orange, with smatterings of yellow here and there. Some of her grayish skeleton is visible in places. Her yellow face resembles a Krana-Su. Her eyes are red. One of Morga’s most notable features is her six arms. Two of them are positioned normally, two are positioned on her back near her shoulder blades, and two are positioned just below her main set. The arms on her back and ribs are a little less developed than her main set, but are still usable. Each arm ends in a three-fingered hand. Her legs are thick and strong, most likely due to her having to carry her backpack and multitude of arms around. A sash with colorful stripes is tied at a jaunty angle about her hips. Another one is tied around her forehead. PERSONALITY: Morga only has one emotion- joy, dialed up to 110%. Her constant enthusiasm for everything is both uplifting and slightly grating to those that hang out with her. She loves children, and adults, and will gladly try to put a smile on their faces. She is also a proud lesbian. BIO: Morga was always disappointed with the way others perceived her race. Sure, Namasteans could be scary-looking, and sure, one of them was famous for being a Dark Hunter, but the vast majority weren’t too scary-looking or violent. Yet the whole race was perceived that way. Morga decided to change that. She altered her appearance and personality to make herself less intimidating, and began to study the art of entertaining. By the end of five years, Morga could effectively perform marionette puppetry, play the saxophone and keyboard at the same time, and do balancing and card tricks. She decided to take her act on the road, as a way to make a little side money. This is where we find her now, and where I’ll be picking up with her new adventures. APPEARANCE: From the top, the Rainbow Romeo looks like a pretty basically modified Jetrax- larger engines, two smaller ones added, removed weapons, colorful stripes painted on the wings. From any other angle, though, the ship looks like it’s massively pregnant. This is due to the specially-constructed hold on the ship’s underside that is used to store Morga’s entertaining equipment when she’s not using it. Edited by capMARVELOUS, Mar 27 2017 - 07:53 PM. I can't seem to find any reference to this on BS01. Is this a name you made up, or is there some fanon species list floating around somewhere that I'm unaware of? POWERS: As a Namastean, Morga can shoot lightning from her hands. As a female, though, her lightning is weaker than that of males. I can't find any canonical basis for this either, especially the last part about genders. Eliminator's powers were heightened speed and agility, and some weird shadow invisibility thing. According to BS01, Eliminator's ability to throw lightning came from the Kanoka he carried, meaning it isn't a species trait. Rainbow Disks- Four throwing disks with colorful patterns on them. One has red patterns, one has yellow, one has green, and one has blue. So do these disks have any powers, or are they just decorative? One of Morga’s most notable features is her four arms. Each arm ends in a three-fingered hand. This is something else that seems to contradict the canonical representation of the species. Eliminator only has two arms. Or six, if you choose to interpret the slizer disk throwers on his back as being vestigial limbs. Either way, four doesn't fit, and Morga's profile doesn't really provide an explanation as to how/why her limb count is different. Overall, I'm not entirely comfortable with all of the headcanon stuff that seems to have been crammed into this profile, particularly since some of it directly contradicts Eliminator's BS01 page. While I'm usually okay with people taking a few creative liberties with canon, I don't want to be put in the position where I have to force any future players who choose to make a character for this species to subscribe to all of the extra changes and traits you've come up with for that race. So for now, Morga and the Rainbow Romeo are Not Approved. Sorry. This is a name I made up, yes. I have a bad habit of doing that. Oh. Whoops. I thought that it was a species trait. I also thought that perhaps the females were a bit weaker at that than the males, as a way of differentiating the genders. They don't have powers. I probably should have specified. I honestly interpreted them as fully functional arms. I also thought that different limb counts would be another nice way to differentiate the genders. Don't be. If anything, I'm sorry I crammed so much headcanon stuff into this profile. Your comments have been helpful, and are a nice starting point for my edits. EDIT: Maybe now Morga will be better. I tried to adequately address all of your issues. Edited by capMARVELOUS, Mar 28 2017 - 07:15 PM. Hm, these changes seem reasonable. Morga and the Rainbow Romeo are now Approved. Edited by Aussie Bane, Mar 29 2017 - 02:59 PM. Gah... I shouldn't... but I must! Noble Mask of Elemental Transmutation - Allows the user to transform their body into an equivalent mass of their element. For the Noble mask, complete transformation can take up to 30 sec, but Virse has also perfected turning single pieces of her armor to stone in a matter of seconds. She retains control over any stone that breaks off and can reform herself if the pieces are in close proximity, otherwise she risks losing parts of herself. Gear: A simple Turaga staff resembling a glaive, with a long, one-edged blade. Appearance: Virse is a stocky and hunched dark orange Turaga with dark metallic armor. In place of robes, she wears a worn brownish poncho with Matoran stone symbols on the shoulders. Her hip armor takes the form of a skirt around her waist with a sash with more symbols down the center. Personality: In her younger years, Virse was known to be hotheaded and demanding of all those under her, especially herself. She has mellowed since becoming a Turaga, though her temper does reveal itself in moments of stress. Her travels and experiences have given her the wisdom of a Turaga, wisdom which she is happy to dispense to any needy soul. Bio: Virse was chosen to become a Toa early in the days of the Toa-Dark Hunter War. The power proved intoxicating for her, and she did everything she could to prove her worth to those above her. Then, the war ended, and Virse found herself without a people and without a purpose. She wandered the universe, protecting and battling where she could, before she found her destiny in another worthy Matoran and became a Turaga. It wasn’t long after that the Great Spirit died and Makuta took control. She watched the Toa she had created die but continued her service, protecting their Matoran from the hordes of Visorak and Rahkshi. When the universe fell, Virse experienced a sense of deja vu as she lost her purpose once more. She found solace in coming to terms with herself and familiarity in the rigid society of New Atero. She now finds herself in the stereotypical role of a Turaga, a wandering counselor and occasional protector. And that suits her just fine. Customization: The heavy Rockoh has been modified to fit Virse’s smaller form. The hull also has level 6 Regeneration disks beneath the hull rigged to a similar system as airship levitation Kanoka. The disks take some time to recharge, but as they do, the system hits them against the hull, repairing damage to the craft a little at a time. Simple scrapes or small gashes may only take a few minutes, while broken parts may take hours. Appearance: Heremus’ Revenge is painted in desert camouflage with dark metal inner workings peeking through at the seams. Edited by Click, Mar 30 2017 - 08:18 AM. Ah, Virse. Nice to see another familiar name. Virse and Heremus' Revenge are Approved. 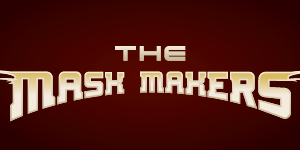 I added some clarification to the mask power because some people on Skype were unfamiliar with it. Also, changed a sentence in the bio. Alright, I have no objections to any of that. Anxious Escalation: Wehtok gains strength from both his own and other's fear. This is always on at a low level, because he is constantly paranoid and jumpy. Fight or Flight: Wehtok's reflexes are insanely fast when not on medication, this is both natural and affected by his paranoia. Trance: Once he enters combat, he finds it hard to stop and has to recover mentally afterwards. He also tires less when in this said trance, adrenaline keeping him in the same state. Splitting Headache: The mask of splitting gives Wehtok the ability to split into 2 clones, one a translucent light blue (Weh), and the other a translucent light green (Tok). Both are around half his normal size and share half the strength, as well as gaining a decreased amount of strength from fear (around 50%). If one were to die, the other one would transform back into an unconcious and drained Wehtok. It is stressful and somewhat traumatic for Wehtok for split, but it provides many tactical advantages. Once activated, it can be deactivated whenever, although it will drain Wehtok mentally and physically. Weh uses his tesla sidearm, whereas Tok uses his sword. Gear: He has a container full of pills that calm himself down, bought from one of the slightly less shady dealers in Cliffside. These somewhat nullify his nervousness, at the cost of his fear absorption powers. He has two seperate weapons, one is a Nynrah tesla sidearm, a compact handgun like weapon that fires bolts of electricity at a fast rate. His other weapon is a scimitar like blade, with a blade made out of metal protodermis. He also possesses a Mask of Splitting, which gives him the ability to split into two seperate clones. Appearance: Constant bags under eyes, which are an orange red color. The Mask of Splitting on his face is the shape of a Kanohi Tryna. Commonly wears a orange red tie, with his scimitar on a sheath on his back. His pistol is kept in a holster on his hip. He is around 8 foot tall. He is primarily a gunmetal grey, with red orange feet and hands, as well as highlights. As for Weh and Tok, their bodies are both translucent, looking like spirits. They look almost identical to Wehtok, but about half the size, and are translucent cyan and bright green respectively. Personality: Paranoid and overly cautious, has to take meds for this if these symptoms get too strong. Good at what he does, but not overly cocky. Sometimes quiet, if thinking. Will not take off tie, ever. Bio: Wehtok originated from the same island as Tobduk, for a while living peacefully. However, he felt that his talents may be of better use elsewhere, and left after a while, finding a job as a bodyguard for an inventor in Nynrah, who crafted many powerful weapons. He maintained a happy and almost friend like relationship with his employer, and successfully protected him for a long time. However, after his original island was taken over by the Visorak, Tobduk fled to Nynrah, where he had an argument with Wehtok about standing up and fighting against the Makuta. Wehtok wanted to remain neutral, and Tobduk left, in anger and disappointment in his friend. Unfortunately, that was his downfall, as a sting mission from the Brotherhood to find Order of Mata Nui symphasisers later on in the Destiny war ended up with his employer and friend murdered in the chaos. Wehtok's rage caused him to remember Tobduk's words, taking his newly crafted Mask of Splitting and his tesla pistol, he formed a short lived militia of exiled Toa Hagah, Matoran whose villages were razed and destroyed, and a large Kavinka. The team managed to cause enough trouble for the Brotherhood that Teridax called for a raid on their makeshift base in the Southern Continent. All but one Toa Hagah, Wehtok and the pet Kavinka survived. The saddened and defeated trio disbanded, and lived out the rest of their lives on Spherus Magna in sadness and paranoia. When the Matoran Universe fell onto Spherus Magna, Wehtok found himself as a hitman and a freelancer, this time for the village of New Atero. He still thinks about his dead militiamen, and hopes to one day find that Toa Hagah again. Weaponry: Firework chaingun: A modified firework revolver that has been enlarged and given automatic firing capabilities, folds out onto the side of the ship and given a 180 degree turning potential. On the other side of the ship is a force blaster, which is in a fixed position. Customization: The Rockoh is much more compact and smaller, only just fitting Wehtok's stature. It is about 75% the size of a regular Rockoh. Appearance: Black in colour, and considerably smaller than a normal Rockoh. A few dark red highlights have been painted onto the much more compact ship, but otherwise it is very similar. Edited by General Quin Galum, Apr 28 2017 - 11:27 AM. Well, that's certainly an interesting concept. I'm not seeing any glaring issues, but I'll still be keeping an eye on some of those abilities. Wehtok the Troubled Killer is Approved. Personality: Inside, Tahtorak is a complex, troubled mind. The weight of his body and the world are a constant burden upon Tahtorak's mind. Poverty, corruption, disease, and crime, all issues that Tahtorak wishes Tahtorak could alleviate. Tahtorak is unable to articulate this though, and often solves problems by crushing them. Customization: Engines and direction are redirected to two levers large enough for Tahtorak's claws. Edited by Coconut Fanatic, Apr 01 2017 - 05:35 PM. Appearance: Largely a pale white in colour, with icy blue eyes, Blackbristle is clad almost entirely in black, over which he wears a dull blue sailor’s coat. As if that wasn’t enough, he also wears enough bling to make a professional rapper jealous. Dozens of rings, chains, medals, and more adorn his body and clothing, each one a memento from a different score. His name comes from a cluster of short, almost beard-like spines that are clustered on his chin. Bio: Blackbristle has been a blight on the Great Barren since before Cliffside even came to be. He was one of the founding fathers of the settlement, and is wholly devoted to the defence of Cliffside and its inhabitants. While he frequently targets shipments travelling to and from Fe and New Atero, he leaves Tesara completely untouched, a policy that has left some wondering if he has some kind of trade affiliation or familial connection with the settlement. Edited by Nato The Traveler, May 10 2017 - 08:12 PM. Ugh, terribly sorry for vanishing again, been busy with stuff. Read my Epic:Tales of Aoris Nui! Profile pic by Soulemn on DA! I also have a custom species approved for the BZPRPG! Click here to read about them! Wanted to try for a monster hunter kind of character. Powers: Immense strength on par with the Kanohi Pakari. Gear: Mask of Farsight, a large buster sword with an inbuilt rhotuka launcher of paralysis, and a shoulder-mounted kanoka launcher she uses to fire various different kanoka she keeps stockpiled in her ship, as well as keeping half a dozen on herself at a time. These kanoka are usually freezing or weakening, in the ballpark of around power level 5 to 7. She also has a grapnel launcher she can use to grab onto various things and propel herself to them, giving her extra mobility outside her ship. Allegiance/Role: Arkaris belongs to no single settlement, instead travelling the wastes, doing her best to find and fight monsters crawling out of its various crevices and pits. Appearance: Imagine Brutaka, except buffer, wearing a mask that looks like a stylised hawk's head, with a black and deep violet colour scheme, and bright turquoise blazing eyes. Personality: Arkaris has no fear. She does, how ever, have plenty of rage. Rage toward the large monsters of the wasteland that prey on the people that have tried to make their home there. Rage that hasn't gone anywhere but toward a focused determination to exterminate every last of them, whenever and wherever they surface to pursue their next meal. Bio: For as long as Arkaris can remember, she's had an immense unfocused rage. Often getting into trouble with her fellow kinsmen, she eventually set off on a journey of self discovery. While travelling the Matoran Universe, she would occasionally come across great opponents, monsters that seemed to have little purpose other than the destruction of their surroundings and the devouring of those who can't defend themselves. And it was in these monsters that Arkaris finally found a focus for her rage. For millennia since then, she's been what can only be described as a monster hunter, a being dedicated to the destruction of beasts that cause unwarranted and uncontrolled destruction, or prey upon others. When finally the Matoran Universe was evacuated, she found that there was no shortage of massive monsters to be taken down for the good of the people, and that is what she's done since then. Weaponry: A rhotuka launcher of paralysis, along with a kanoka launcher that can fire kanoka she inserts into a kanoka clip in the cockpit. The clip can hold several kanoka at a time. Its bombing bay holds a specially designed warhead with comparable explosive power to that of a cordak missile. Customisation: The ship has two deployable blade wings on either side, essentially massive cleavers that function both as aerodynamic wings and as weapons to cut other ships, as well as monsters, apart. Arkaris has grown proficient at using these weapons with precision. Appearance: Aside from the deployable blade wings on its sides, the ship resembles a regular Axalara, except with a black paint job under sparingly but pointedly used vibrant purple and red gradient tiger stripes. Edited by Fat Free Strawberry Onken, Apr 28 2017 - 10:31 AM. I'm a bit iffy about the paralysis, since it's pretty much an instakill against PCs. The rest seems mostly fine, though, so change that and I'd be willing to approve Arkaris. Hey, are bankers a thing in this game? I'm making a new character, and I need an excuse to give her a ludicrously huge fortune. Hm... while widgets are used in game for small purchases, trade deals and bartering are still the more lucrative options. So there probably wouldn't be bankers, per se, but I imagine a lot of the settlements would have something that equates to a pawn shop, where people could trade in items for small change. That said, I'm not sure I'm comfortable with a character who can conjure up whatever they want thanks to a convenient fortune. I've been a little preoccupied with assignments for the past fortnight, so my input here has slipped somewhat. I know I need to post as Xaril/Varim/Barlow, get the treasure hunt moving again, and deal with the aftermath of the attack on New Atero, but is there anyone else who is waiting for posts from me? In addition to that, is there anyone who is having difficulty finding interaction, or is in an inactive location, who would like a GM post? I really would like a GM post as Blackbristle singing a sea shanty. If she has too much money for your tastes, Nato, let me know. Hooks- A pair of medium-sized silver hooks with black handles. The blunt sides of the hooks are used about as much as the pointy sides. Money Bags- Pouches hanging from Hestala’s belt, containing several hundred widgets. ALLEGIANCE/ROLE: Hestala hails from Cliffside and works as a professional thief. APPEARANCE: Hestala is seven feet tall, the general height of a Vortixx. Her eyes are a ravishing shade of lavender, her skin is colored a smoky gray, and her silver “hair,” styled in traditional swept-back Vortixx fashion, is adorned with two thin white rods where it meets her vaguely reptilian head. Her figure is much curvier than average. Her claws are painted white. Hestala wears sparsely-placed black armor, intricately detailed with white patterns, on her chest, hips, forearms, and shins. See-through lavender cloth, weaved with silver patterns, is wrapped loosely about her upper arms and legs. One of those cool fantasy waist-cape-things hangs from her belt, and ends about mid-calf level. Hestala’s body is adorned with gold bangles and jewels. Beneath her armor and see-through cloth, her skin is decorated with white tattoos, the most prominent ones being the angular, almost tribal designs on her biceps and thighs, and the shallow crescent on her belly. PERSONALITY: Hestala is a Vortixx of expensive tastes. Whether it’s fine furniture, hand-crafted jewelry, exotic drinks, or, y’know… men, she wants it. And as the self-proclaimed Queen of Con and Princess of Pilfer, she knows how to (illegally) get the widgets to pay for it. She pretends to be in love with any man that she comes across, though this is only a ruse she uses in order to pick their pockets. She also has a habit of calling everyone “dahling,” whether they’re a man or not. BIO: Hestala was born to parents who didn’t have much in the ways of money. As such, she was always stuck in poor conditions. Her parents were always looking for well-paying jobs, but were always unsuccessful. Hestala tried to find jobs to do, too, and her luck was the same as that of her parents. Life went on in this way for some time. In desperation, Hestala turned to a life of thievery, stealing widgets from whoever had any and using them to begin paying for new housing for her family. With every pocket picked, she drifted further and further into the wonderful sensation known as greed. Her methods improved, her techniques diversified, and her targets increased. She eventually succeeded in funding her parents’ new house, but had fallen so far into greed that she didn’t stop thieving. She amassed a small fortune of stolen money, and spent a good deal of it on lavish things, a habit that she shows no signs of giving up any time soon. This is where we find her now, and where I’ll be picking up with her new adventures. Two Midak Skyblasters mounted close to the cockpit. APPEARANCE: The Vista Baby is quite obviously well-kept, with polished lavender exterior and lavishly-upholstered interior. Though there is room for only three passengers, including the pilot, it has the air of being quite roomy. Several compartments in the walls hide money and jewels that Hestala has filched over the years. In the back is a soft bed built for two. Edited by capMARVELOUS, May 07 2017 - 10:21 PM. Thieves are indeed A Thing. And this thief seem fine to me. Hestela and The Vista Baby are Approved. Captains don't sing, especially when they also double as governors. They make other people do it for them. GM IC: Xaril/Varim/Barlow - Cliffside, Outskirts. Xaril was about to simply shatter his body into its crystal form, but before he had the chance, Varim was grabbed from behind and punted over the edge, vanishing into the darkness without so much as a cry of surprise. Personally, I'm a bit torn up about this. Overall, it was an enjoyable read, but I'm slightly disappointd that Saffina wasn't around to do the actual punting. Oh well. Can't always get what you want, I suppose. Guess I'll just have to save her wrath for Random Quest NPC #243. I just realized that I forgot to add weapons to the Vista Baby. Fixed that, though they may need a glance-over to make sure they're kosher. Also, I forgot to mention, my character Morga is Open For Interaction over in Capstone. I may need a GM post from you, Nato, if anyone else doesn't take up the offer. Two Cordak Blasters mounted close to the cockpit. I think I'm going to have to say no to Cordaks, in general. A normal Cordak launcher can "reduce a boulder to dust" with a single hit, so it's pretty much going to one-shot most smaller aircraft, kill pilots if it hits near the cockpit, and the fact that it's a rapid-fire weapons means it would chew up most aircraft in just a few shots. Aight. They're Skyblasters now. Guess I didn't read that part. Still waiting on that pawn shop post for Hestala, Nato. And Morga is still Open For Interaction. My apologies; the last Hestela post ended with an OOC asking for player interaction, so I wasn't aware that you required GM input. That said, you guys shouldn't feel obligated to involve me when it comes to simple things like buying or selling from shop/bar owners; I'm trusting enough to hope that you guys can RP those sorts of things yourselves. Generally, the only NPCs I take direct control of are those listed in the first post, and the occasional guard/messenger. If you're still wanting a post from me, capMARVELOUS, let me know, but if all you're wanting to do is sell off some stolen goods or whatever, feel free to handle that yourself. Edited by Nato The Traveler, Jun 19 2017 - 03:52 AM. You guys still accepting players or are we dead in the water? Appearance: Aukume is a tall, Hagah armored styled being. The armor has dents and scratches from all the fights he's had in the past, especially the three large claw marks running across his chest. He wears a tanned, tattered cloak that covers his torso and mouth, while also having a hood. Personality: He's a rather cold person to begin with. He has no intentions to participate in the politics of the new system. Ever since he was a part of the Matoran Universe, he never cared what authority figures told him. However, on the inside of the cold exterior of the being, is a heart of gold. When the a situation arises, he does not hesitate to put aside his cold deminer to save others from danger for that is the purpose he carries. Bio: ​During his time in the MU, he was one of the few who escaped with Tobduk when the Visorak came. While Tobduk can feed on the anger of others and his own, Aukume had the power of feeding of fear of others. When he and others arrived on Stelt, only Tobduk was recruited to the OoMN. He felt jealous that his friend was enlisted to such a powerful organization. At the time, he did not master his power and was still fairly new to them. While Tobduk gained an angry persona after the extinction event, Aukume became cold and anarchic. He cared little to the laws of the places he visited, and often found himself in scuffles. ​ While out by the Southern Continent, he stumbled upon a pack of Rahkshi attacking a Matoran village. Fearing that these Matoran would end up the same fate as him, he jumped in to fight them off. He fight him honor, compassion, and zeal. A side to him that was now a rarity. However, during the encounter a Turahk fired a fear blast at him. The sensation and thoughts clouding his mind overwhelmed him completely even though he could feed off the power. The problem during this moment of his history is that he still didn't master his power completely and was still new to it. He let out a powerful blast of fear that everything caught in the went insane and died from the sheer amount of fear that consumed them. No one survived minus Aukume. Feeling only shame and guilt, he left the island and secluded himself and practiced once more on his powers so that another incident like such would never happen again. His tranquility was rather short-lived as he was greeted by Tobduk and a Toa. They saw his potential and recruited him several years before Teridax took over the MU. ​During the time he was in the OoMN, he had a distate for Helryx and other senior members. Mainly due to them being figures of authority. However, Aukume had a particular resentment to Tobduk for partially abandoning him and his allies. They only 'spared' once, but the others would not call it such. He did lose and paid after seeing just how much Tobduk has changed in the many years apart. He was sentenced to The Pit, but just when he was just about to be taken there, he used his powers to escape. When the MU came crashing down, he made a Jetrax T6 using spare parts he found all around the abandoned islands. Weaponry: Twin Pulse Bolt Genetartors on each wing. There's also a electro-rocket launcher under the nose of the vehicle. Customisation: Jet Thrusters replace the bulky turbines for faster speed and manuverability. This allows for a more faster and agile vehicle while also reducing the weight of it. In order to accomadate the new propulsion system an armor housing is made to hold the jets in place while also acting as a stabilazer for them. The plating is not thick or covers the entire thruster. This still leaves vunerable spots for the thrusters that enemies can exploit. Appearance: On it's armor plating, it has a dark sandy color while the rest of the craft is in a gunmetal grey color. It is much sleeker than most T6's due to the armor plating and parts used to forge the craft, as well as it being longer in order to accommodate his size. Edited by A Forgotten Soul, Jul 13 2017 - 12:54 PM. While I can see that you've put a lot of effort into creating this character, I'm afraid there are no Toa left in the Skyrise universe. This is partially to avoid having to deal with the issue of Marendar, and also to encourage players to create more diverse characters.